Thanks to my friends Stephen Gardiner and Ryan Mendell, I now have the beginnings of an S scale model of CNR D-1 and its trailers. 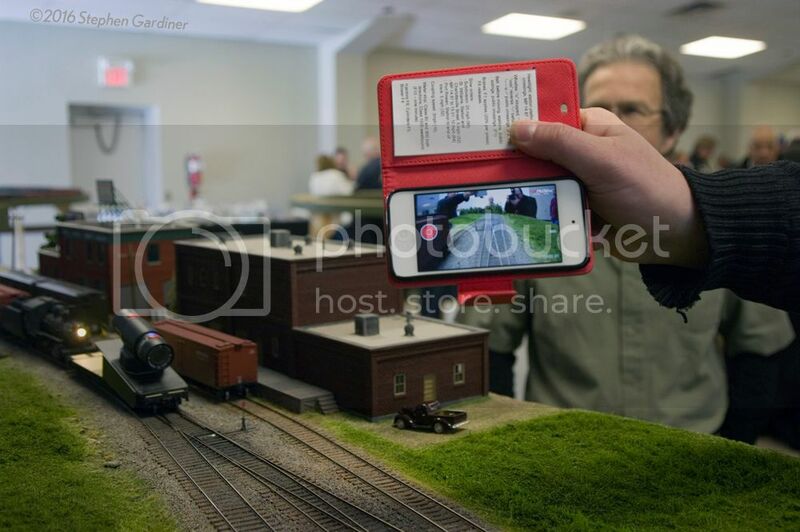 As I wrote last summer, Stephen has been drafting the artwork to 3D Print an HO scale model of this one of a kind train set, and I’ve encouraged him to re-scale and tweak the artwork for a model in 1:64. 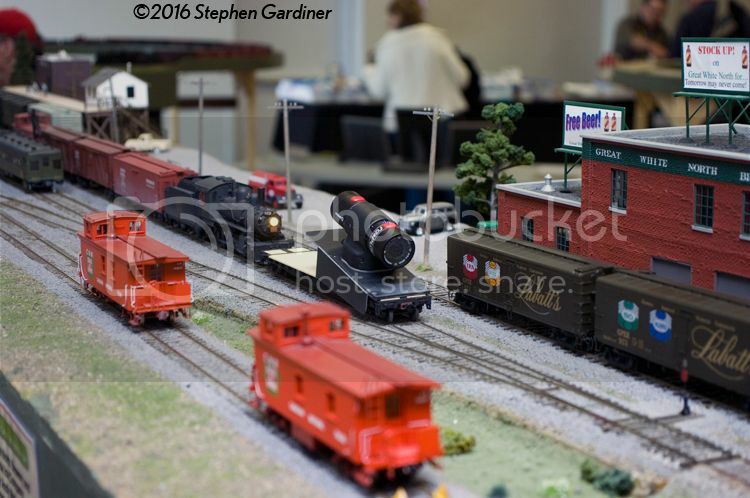 One stumbling point for us was how to power an S scale model. Stephen’s HO version is based around the frame and mechanism from the Bachmann (Spectrum) doodlebug. But there’s no mass-market equivalent for an S scale project. 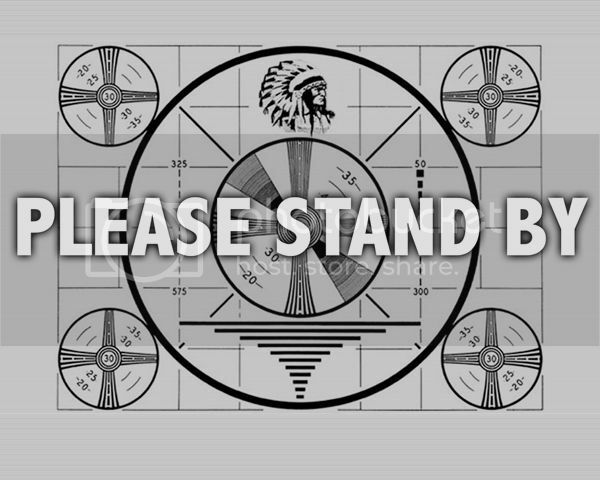 The good news is, the D-1 is powered only by the front truck – and that truck has the same wheelbase as an EMD switcher. The side frame even looks like something you’d find under an SW. So, I asked around and purchased an S Helper Service SW-1 from my friend David Clubine at Ridgehill Scale Models. That donor engine provided a power truck and a motor. Now, what to mount them in? As should be obvious, the frame is crafted from a solid piece of brass. Ryan drew the frame then cut it out using a water jet cutter – a machine that blasts a fine stream of water at Mach 3 (!) and makes short work of work like this. The frame took about five minutes on the machine. Ryan added pillars to support the motor, then cut specific parts from the SW-1’s cast metal frame to complete the D-1 mechanism. These include the motor mounts and the truck mount. Machine screws hold everything together. A NWSL universal kit will provide a new drive shaft linking motor to truck. A line of small holes along the frame will provide mounting points for the body. Stephen will be able to add blocks of material to the shell before printing it, and we can then drill these blocks for more machine screws. The large square hole at the back of the frame gives us some flexibility to mount the unpowered truck: We’ll figure out the specifics of that mount once we have the truck in hand. 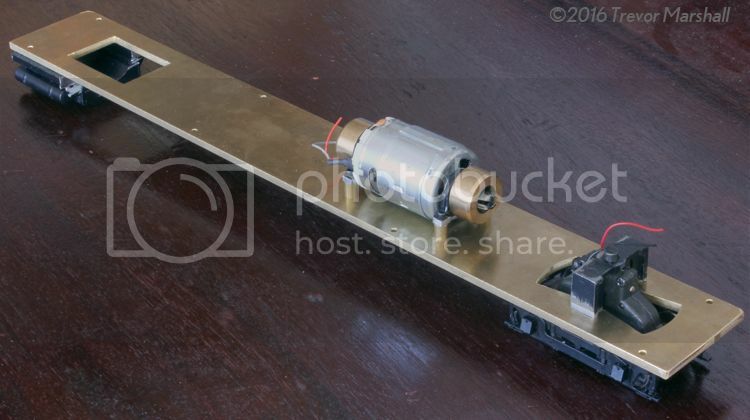 (If I recall, Stephen has drawn up side frames for the rear truck, plus the trucks under the two trailers that this self-propelled baggage motor hauled. A simple truck bolster should do the trick. ) In the meantime, I propped the rear of the frame on the SW-1’s fuel tank to take the above photo. I’ll have to scratch-build tanks, equipment boxes and other details for belowdecks, but since this streamlined train set was converted from one of the CNR’s conventional doodlebugs, I’ll base the details on those found under my CNR gas-electric, and I’ll be more than happy with the result. Stephen is still working tweaking the D-1 body (and has not yet re-scaled the trailers, C-1 and C-2), but there’s no rush. 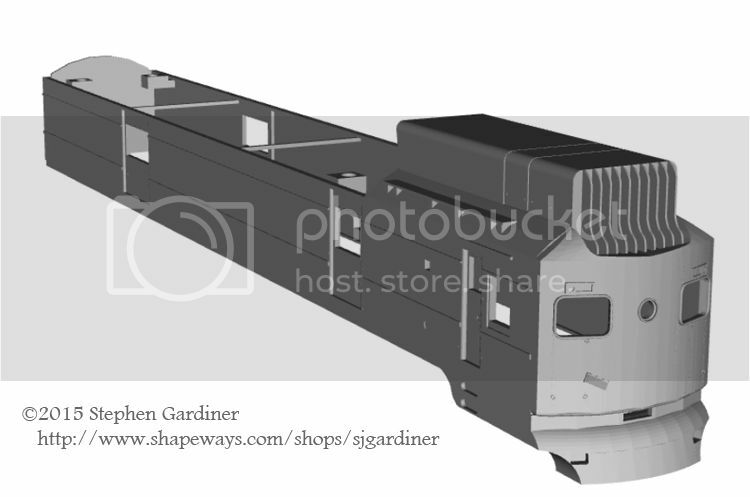 This never ran to Port Rowan – it’s a project for use on the S Scale Workshop modular layout – and I have plenty to do while I’m waiting for the body shells. But I feel that an important hurdle has been cleared, so that this project can go ahead. Thanks, Stephen and Ryan, for your work on this. 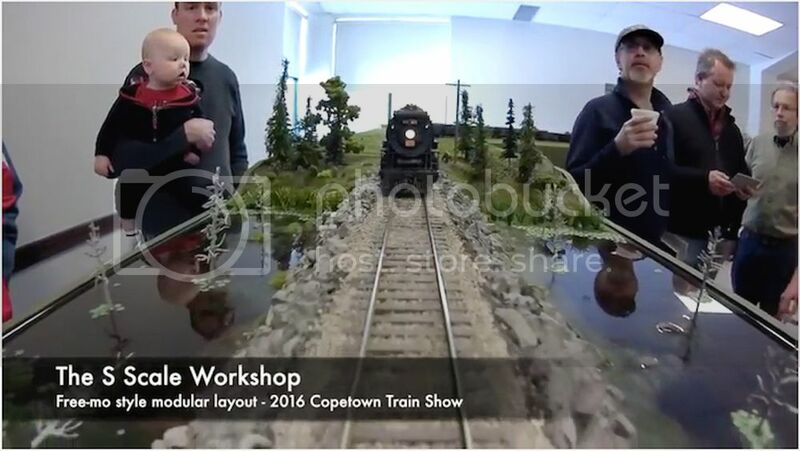 I really appreciate it, and I know that those visiting the S Scale Workshop layout at future exhibitions will too! My post on the Cab ride to Port Rowan generated a lot of feedback – thanks for the kind words, everyone! 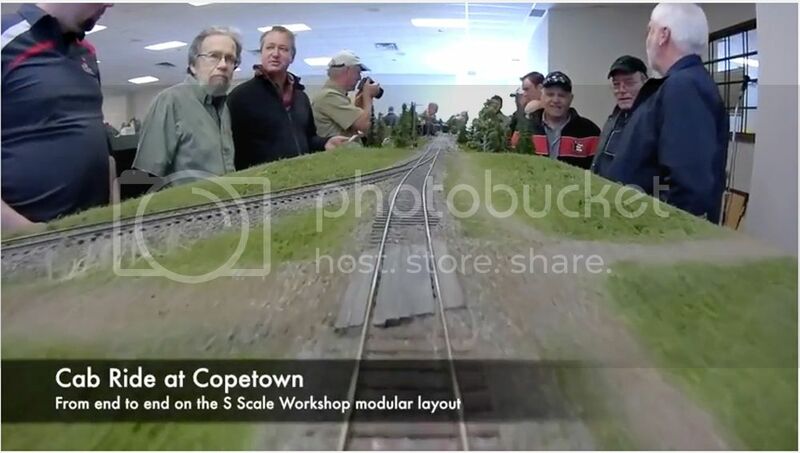 I found it interesting that a number of people commented on how the “from the cab” perspective changes how one views a layout. Specifically, people noted that it’s not the best way to view a layout, because we design them to be viewed from the aisle – and I agree! 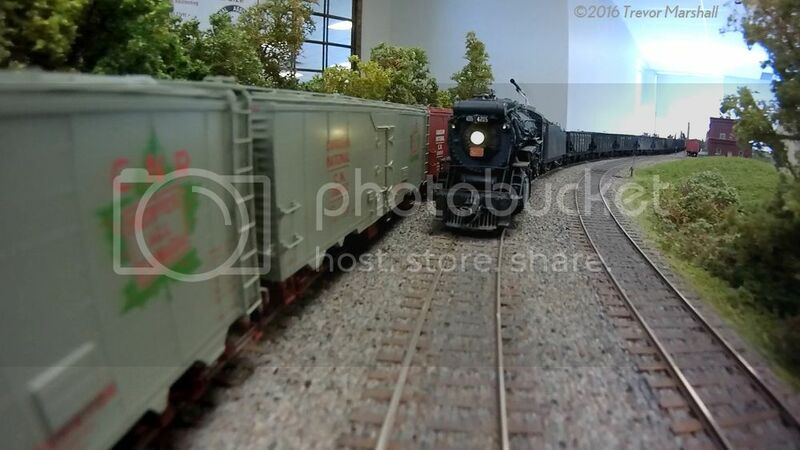 Viewing a layout from the track tends to expose the things we don’t generally see during normal operations. Layout lighting is a big one: we tend to aim lights at the track, and then hide them from our view as we’re standing in the aisle. 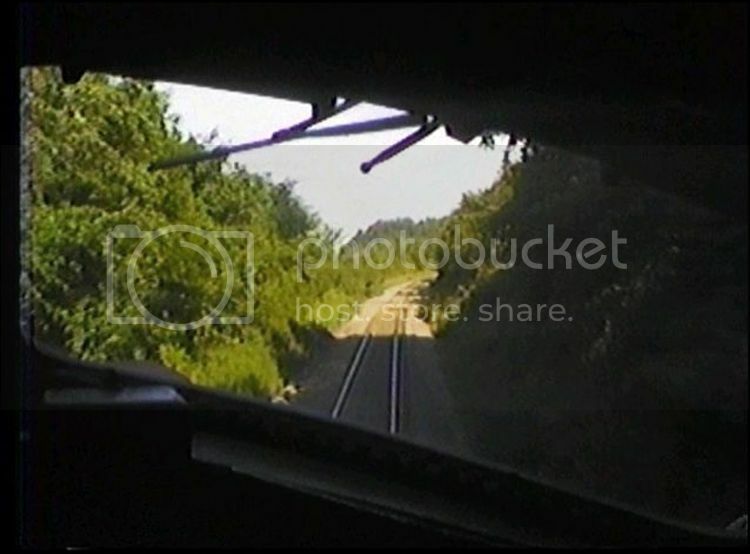 Putting a camera on a flat car often puts the lights right in our eyes (and it certainly did in my cab ride video). I’m not overly concerned about that. I think it might help to enclose the camera in a fake cab – for example, by framing what the camera sees so the viewer appears to be looking through the window of an F-unit. Done right, it should reduce the non-realistic surroundings that one sees in a video. When I look at the image at the top of this post, I’m struck by just how little I can see of the world outside the locomotive’s window. I’m also struck by how easy it would be to mock-up the window – one can’t even see the nose of the F unit, and the interior of the cab disappears in blackness. It’s too easy to not try, so a mock-up window is something I’ll create at some point. Adding the wiper blades would be a nice touch. 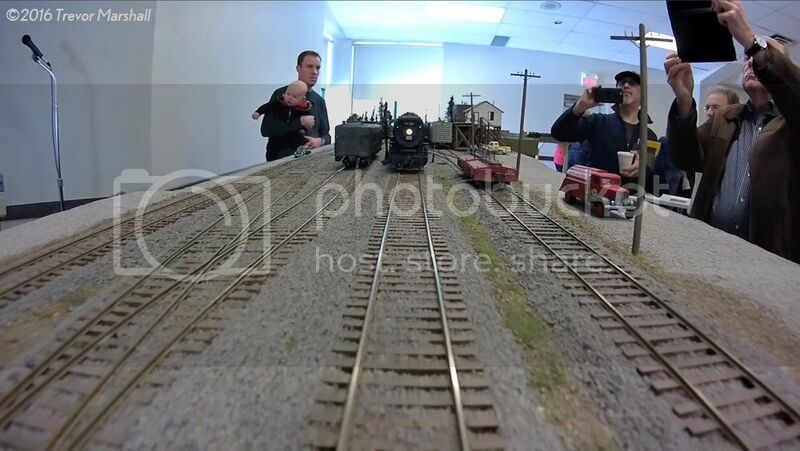 What I really liked about the video I shot of the layout is how well it connects the various scenes together. This is something I haven’t been able to share with others in the past. – Video from the aisle would have to consist of a series of static scenes with trains running through them if I wanted to control what the viewer saw, to minimize unrealistic distractions like layout lighting and fascia – so it would be much like a series of still shots in that regard. Tonight, my outgoing emails started bouncing back. Spamhaus is blocking things, saying that my ISP’s servers have something called the StealRat Infection. I can receive email, but not reply. I will call them in the morning to figure out what to do next. But I wanted to let everyone know that if you’ve emailed me, I’m not ignoring you. I’ll respond when I’m able. I continue to experiment with my video camera from Replay XD, which rides nicely on a flat car. This trip is looking into the sun, so everything is somewhat backlit. I will do an eastbound trip – with the sun at my back – when time permits.